Amelogen Plus is a state-of-the-art Bis-GMA, radiopaque material for Class I, II, III, IV, V, VI restorations and direct veneers. It possesses wear resistance, strength and polishability, making this simple composite system the perfect material for both posterior and anterior restorations. It also displays exceptional handling, optical and polishing characteristics. The material won?t stick to instruments or slump, providing extra control in handling. The unique syringe design of Amelogen Plus features the QuadraSpense and Kleen Sleeve. 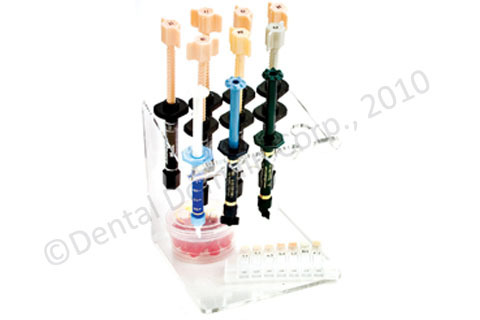 The QuadraSpense makes it possible to remove small amounts of material from the syringe. The Kleen Sleeve ensures that no black specks from the outer syringe become embedded in the composite.